Love calls - everywhere & always. We’re bliss bound. Are you coming? 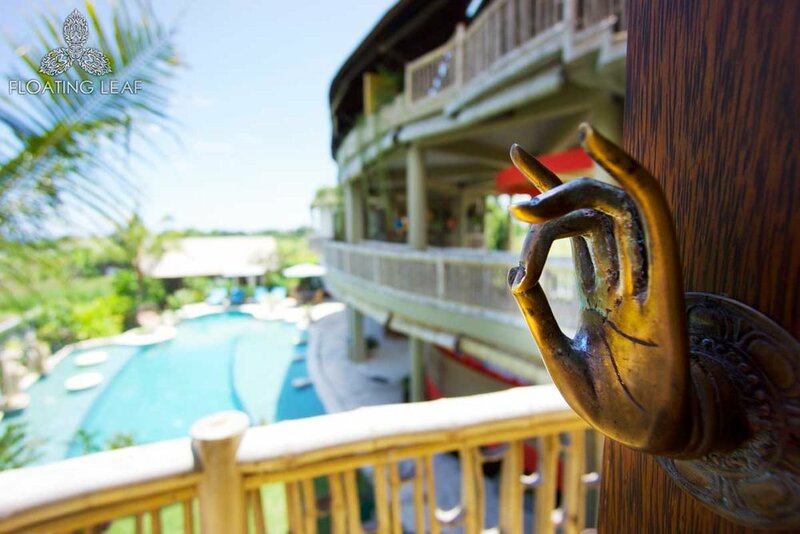 RELAX AND UNWIND AT BALI'S #1 RATED RETREAT CENTRE — FLOATING LEAF ECO-LUXURY RETREAT. 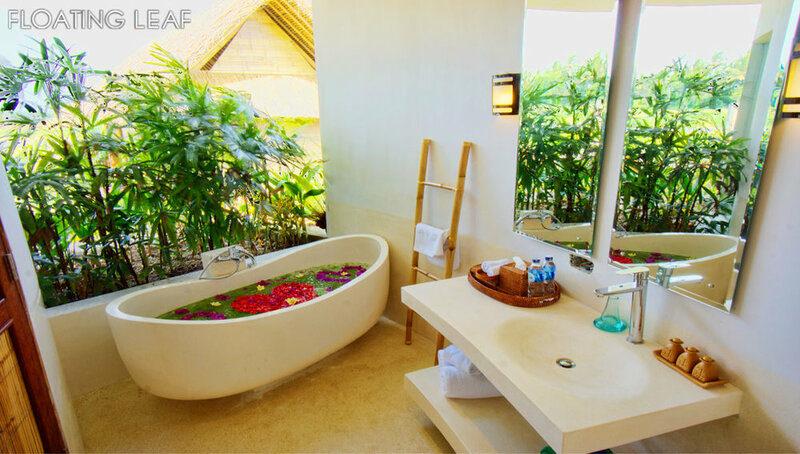 THEIR LUXURIOUS ROOMS, MELATI SPA, YOGA SANCTUARY AND HEALING POOL WERE ALL CREATED WITH YOUR ULTIMATE COMFORT IN MIND. THE GROUNDS FEATURE A LARGE SWIMMING POOL, ORGANIC PERMACULTURE GARDEN, BALINESE TEMPLES, NUMEROUS PRIVATE MEDITATION AREAS, AND A LARGE OPEN KITCHEN WHERE OUR PRIVATE CHEF WILL PREPARE DELECTABLE NUTRIENT-RICH FOOD EACH DAY OF THE RETREAT. Step into the most soulful blend of contemporary live music, weaved with traditional mantras and paired with heart wisdom. A workshop combination of live grooves and a yoga practice fuelled on waves of sound & collective breath, invoking the highest connection to self and awakening of mojo! The experience evolved through the exciting workshop collaboration between two internationally renowned presenters, Canadian-born yoga instructor, Kimberly Erin, and Australian singer-songwriter, Tom Richardson. Flow with your breath in an uplifting & playful yoga practice that consciously merges live music with body, mind and heart. Ride the wave of movement into the corners of your soul and reconnect to your own strength, beauty and truth… One moment at a time. Stunning accommodation, either in your own private room — or save money and share a twin room with a fellow yogi. All rooms feature aircon, ensuite with bath and shower, and beautiful garden or pool views. Three nourishing meals per day, from Floating Leaf’s organic permaculture garden. Unlimited cool, filtered drinking water. Full use of world class yoga shala, facilities and grounds as per retreat program. Return transfers to Denpasar Airport. Three nourishing, delicious buffet-style meals per day, direct from Floating Leaf’s own Organic Permaculture Garden (all dietary requirement accommodated, please advise at least 30 days prior to arrival). Guaranteed decliciousness for everyone! 10% of any additional spa treatment for retreat participants. Each participant receives a complimentary choice of Balinese aromatherapy massage OR Balinese Hair treatments including head and scalp massage as well as neck, shoulder & hands. The FRESHEST tropical fruits & smoothies! Surrender into free time to rest & restore. Time to enjoy eco pool, spa & sunshine! Or go on an exploration to the beach or take advantage of the many inspired optional adventures. Lunch included. Traditional cooking classes, exposing the secrets behind Floating Leafs world-class food!